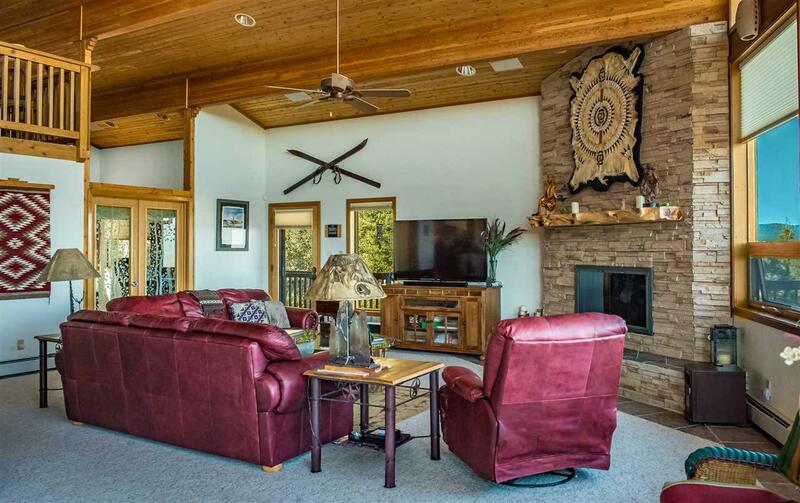 A true SKI IN SKI OUT custom lodge with views from the PGA rated golf course to the mountains of Colorado. 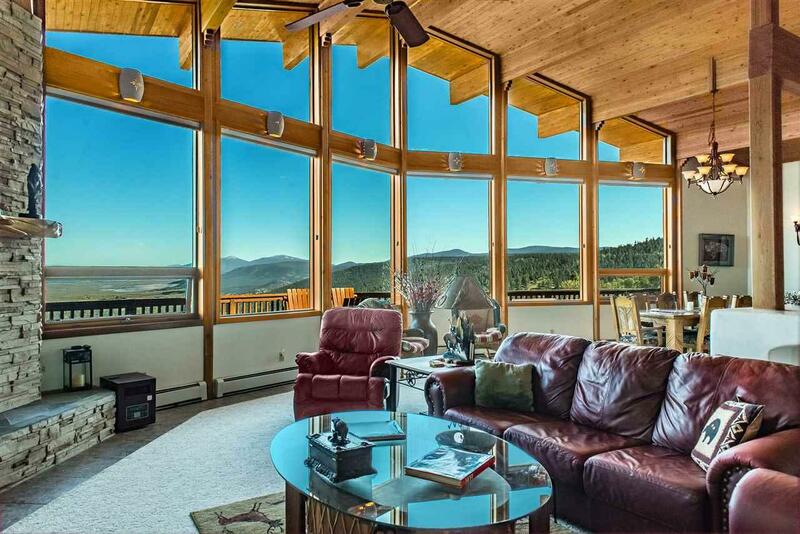 The panoramic views will mesmerize you from the great room and it's wall of windows to those from one of the 4 decks. Put on your skis and slide on down to "Headin' Home" and then come right back to your lodge at the end of an exhilarating day on the Angel Fire Resort family friendly ski mountain. 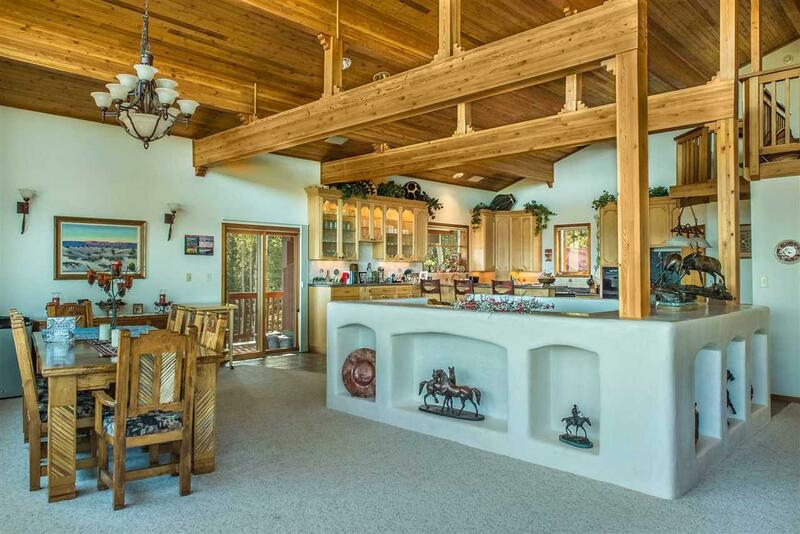 4 gathering areas give plenty of room for the adults and the kids and there's even a garage/workshop for all your mountain toys in addition to the one for your cars. Incredible rental history when you're not able to enjoy it yourself. You might not leave! Perfect snow and perfect summers. It even comes furnished so all you'll need is a toothbrush! 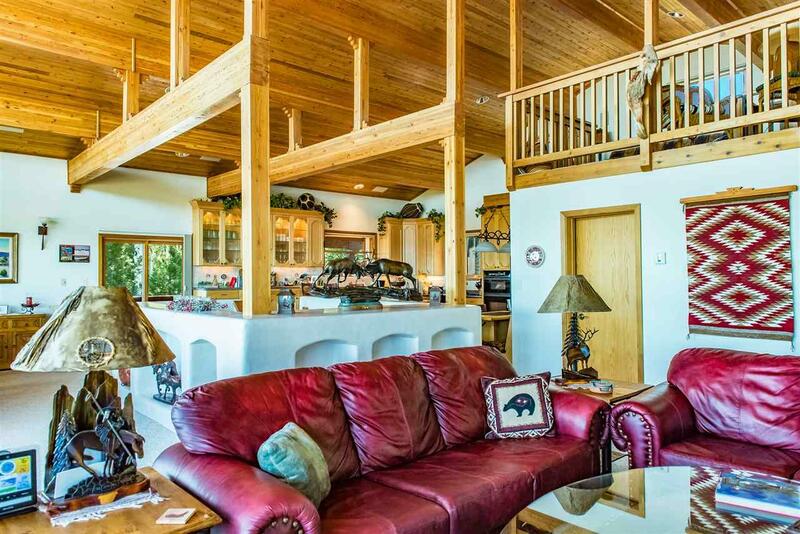 Steam shower in the master bath, jacuzzi tub, hot tub on the covered deck, concrete driveway, spacious kitchen and dining area, dumb waiter, 3 fireplaces, dry sauna, in floor heating and so, so much more. Call us to arrange a showing and for even more details.